The Mercedes-Benz Club of Auckland entered a two car team in the Club judged Concours competition in February 2018. We were successful gaining 1117 points, which is the highest number of points ever awarded in the 47 year history of the competition. We therefore became the Host Club for the 2019 event. 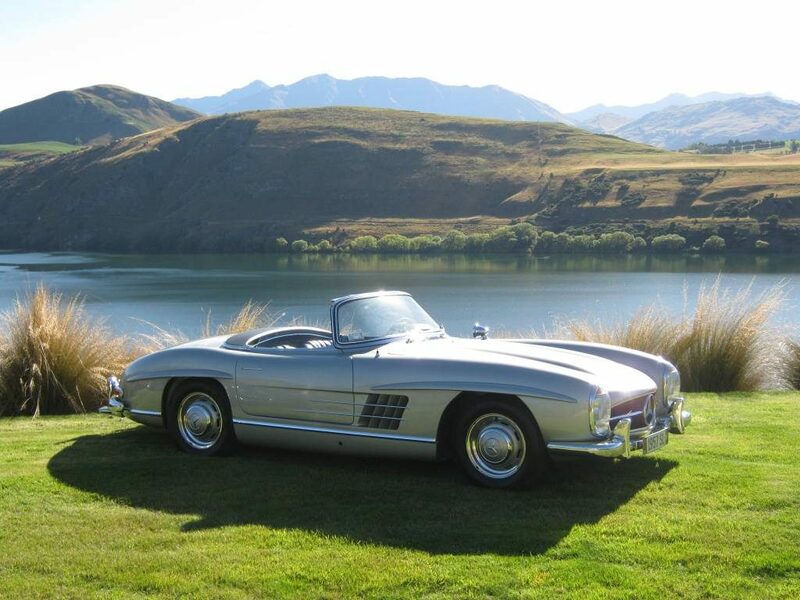 The Club will celebrate this honour by presenting the best collection of classic Mercedes-Benz cars ever assembled in New Zealand. One of the many privileges the Club receives as host is the allocation of a larger display space in front of the main stand at Ellerslie. With our marque placed as far back on the lawn as possible we will have space for 32 cars. The car selection subcommittee has been hard at work. We will present a range of Club cars dating from 1928 through to 2015. Each car will be a unique model or have a unique feature. We are also entering two cars in the Club Teams Event competition. There will be a core group of cars that have been winners of the Masters Class or the Teams Event competition at Ellerslie over the last 20 years. There have been nine winning cars in all and we will present seven of these very special cars. Of the other two, one has been sold overseas and the other cannot be traced; its registration was cancelled five years ago. This group is made up of two 190 SL Roadsters, one 220 SE Cabriolet, two 280 SL Roadsters, and two 300 SL Roadsters. The sight of this group of cars all displayed in one place will be a joy, a pleasure and a memory for us all. The next group will include a 1928 SK Roadster reconstruction and a 1938 540K Special Roadster. Alongside will be a 1955 300 SL Gullwing, which will be loaned and presented by the Southward Car museum. This will be the first time the three 300 SLs that are in New Zealand will be seen in the same place at the same time. The 50s cars include a 170 SD and a 220 A, then a selection of Round Pontons, Cabriolets, Coupes and Saloon cars, and to finish the best 300 D in New Zealand. The 60s cars selected have Finbacks, Coupes and Cabriolets. Included is a 1964 220 SEC reworked as a long distance endurance rally car ready to be shipped to China to compete in the 2019 Peking to Paris event. Also there are two massive M100 V8 engine powered cars, a 300 SEL 6.3 and a 450 SEL 6.9. These cars are efficiently called the ‘bankers hot-rods’. The selection of more modern cars from the 70s onwards include the best 350 SLs, 450 SEC, 230 CE and 500 SEC, that are part of our Club. Included in this selection are a 190E 2.3 Cosworth, a late model AMG SLS Gullwing, a SLK 55, and a CLK 240 cabriolet. We have been through all 34 cars and put a value on each. 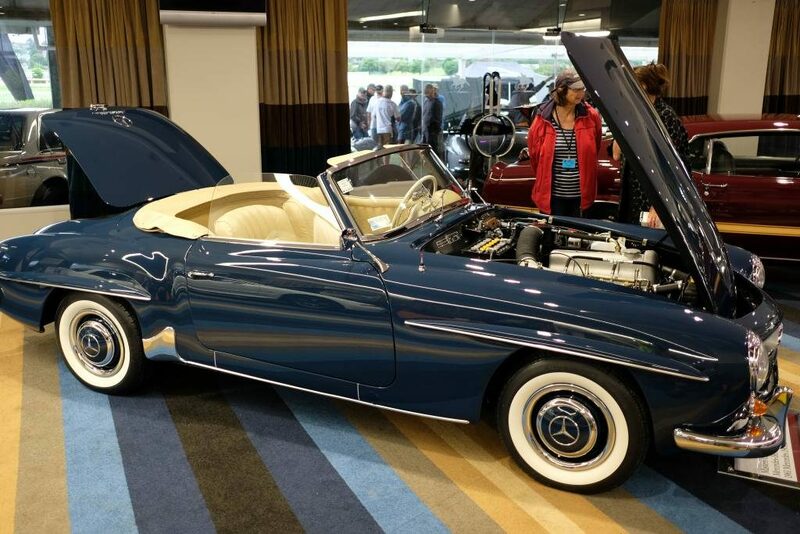 There will be $12,500,000 worth of Mercedes-Benz Classic Cars on display at Ellerslie on the 10th of February 2019.